The top reason sellers have been in the catbird seat for the past several years? Inventory. There simply weren't enough homes on the market to keep up with buyer demand. And when a "For Sale" sign did go up, you can bet a bidding war would soon follow. "You might have been the only listing in your neighborhood, and you could put your home up at a certain list price and you would likely see multiple offers at or above that list price," Hale explains. That tide is turning this year, Hale says. That's because the number of homes for sale is finally increasing, albeit slowly. For now, buyers still outnumber inventory. But if you're thinking about selling and don't want to compete with your neighbors, it'll pay off (literally) to list earlier rather than later. (This is particularly true in pricier markets, where inventory is increasing at a faster rate than more affordable areas.) "It's going to depend on what neighborhood you're in, but we expect it to be more common this year that you won't be the only listing," Hale says. Home prices have been on a meteoric rise for the past seven years. In January 2012, the U.S. median home price was $154,700. Today, that figure has nearly doubled—to $289,300—and sellers have rejoiced. Now comes a twist: 15% of all home listings saw price cuts in January, according to realtor.com data. That might sound like bad news if you're thinking of selling. But hear us out: Those moderating prices, combined with today's mortgage rates (more on that below), mean increased buyer demand for your house. Plus, it's not that home prices aren't still increasing—they're just not increasing at the frenzied pace of previous years, which often featured multiple offers at or above asking price, Hale says. So even though you might have some more competition as a seller, things are still looking pretty sweet for you when it comes to cold, hard cash. 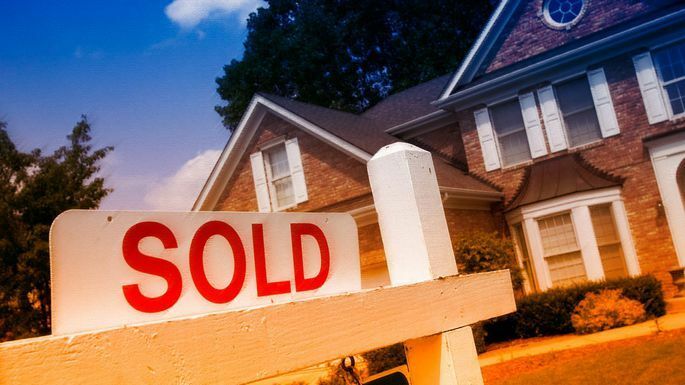 "Even if you don't get an offer above your asking price, you're probably still going to come away with a handsome profit from being a seller in 2019," Hale says. But again, it'll pay to put your home on the market as soon as you can—before conditions change. "Sellers who list their homes earlier in the year tend to get a higher sales price, often above list, and shorter days on market," says Ali Wolf, director of economic research at Meyers Research. Something strange has been happening over the past few months. Experts predicted mortgage rates would rise—and at the end of 2018, they were indeed ticking upward as expected. But since the start of the year, rates on a 30-year fixed mortgage (the most popular home loan) have been falling, sliding last week to a new 12-month low of 4.37%. And of course, those historically low mortgage rates mean you could have more buyers knocking on your door. Plus, this temporary dip in rates creates an opportunity for trade-up buyers as well. After all, if you're selling your home, there's a good chance you'll need to buy another one. Bottom line: Now's the time to hustle and get both transactions done. "Sellers need to take advantage of low rates as much as buyers do," Wolf says. "Sellers don’t want to get stuck in their homes when rates go up and the math no longer makes sense to move." Historically speaking, people tend to buy their first home around age 30. And guess what? We've got a whole bunch of people turning 30 in the next two years—nearly 5 million, in fact, according to realtor.com data. So you can count on those millennials to be a driving force in the housing market. "Millennials want to own a home as much as prior generations," Wolf says. "We saw millennial shoppers scooping up homes in 2018—and 2019 will be no different." What's more, Hale adds, is that you won't just be seeing demand from first-time buyers. Older millennials in their middle to late 30s have already owned a home for a few years, and could be looking at now as a prime time to trade up. "From a seller’s perspective, you’re going to have possibly more interested buyers," Hale says. "So that’s motivation to put your house on the market." Selling your home for top dollar is our mission here at Greater Boston Realty. We want to make sure that you get the selling price that you deserve for your Boston area home! One of the best ways to ensure that this happens (and that the sale also happens quickly) is to make a few upgrades to entice potential buyers. First and foremost, you should focus on fixing anything that has broken or worn down in your home. Fix any leaky faucets, replace worn cabinet hardware, etc. Want a big bang for your buck? Look into a fresh coat of paint. Often, we recommend neutral colors since they have mass appeal to buyers. It’s also something that you can do as much of or as little of as you like – paint the whole house or just the one or two rooms that will make the most impact. New buyers will do a double-take if they see that your home has new carpeting. Is there anything that a buyer likes more than a new fluffy carpet? Again, choose something neutral that will appeal to all buyers. It’s important to remember, however, that every home is different. To find out what types of improvements we would recommend in order to help your home sell fast and for top dollar, call Greater Boston Realty today at 617-469-4040 and set up an appointment with one of our knowledgeable Realtors. The most advantageous part of executing a move yourself is the financial savings. Since you will be putting in the time to pack, load, transfer, unload, and unpack your belongings, you will save a lot of money by doing the work yourself. This is much more attainable for people with fewer belongings, lots of friends that are willing to help, and a short distance to move. If you are willing to spend more and hire professional movers, you will gain the aid of experienced and insured movers that will take care of the manual labor involved in a move. In addition, if the movers pack your belongings, you will often be compensated for anything that is damaged during transport. Hiring movers is more expensive, but often significantly reduces the stress inherent in the moving process. No matter which way you decide to get your belongings from Point A to Point B, you can rest assured that your home will be taken care of with the help of the real estate agents here at Greater Boston Realty. If you’re in the market for a premier real estate expert, call our office at 617-469-4040 now to schedule a free consultation. Spring has finally arrived here in Massachusetts, and that can only mean one thing: better weather is finally coming! As we prepare for it to be warmer and for the snow to melt, we also get ready for the real estate market to pick up. Many buyers have been putting off looking at homes during the winter, but they will soon begin to hunt for their dream home – could yours be ‘the one’ for them? There are many reasons why Spring is the perfect time to have a home on the market. One is this: it is the time that most people start to look in order to purchase and be settled before fall – the start of a new school year. Families with children often want to move in the summer so that their kids’ school schedules aren’t disrupted like they would be in the middle of the year. This means that if you’re looking to sell a home with multiple bedrooms, you shouldn’t wait to list it! Our experienced real estate professionals can help you with all of the preparations you will need to make in order to list your home as quickly as possible so that you can take advantage of the Spring selling season, like how to stage your home and what simple repairs you can make to ensure that your home is at its best. If you want your home to be found by these springtime buyers that will soon begin to search for their new home, call Greater Boston Realty. We are a local Roslindale real estate agency, and we will help you list your home so that it’s seen by potential buyers. With this springtime lighting, it will be easy to make your home ‘pop’ in marketing photos! One quick call to 617-469-4040 is all it takes to start the process, so don’t delay. Here at Greater Boston Realty, we give people advice on the best way to get their home ready to sell. We always recommend that a home look fresh and clean, and one of the best ways to make a good first impression on a potential buyer is with clean and stain-free carpets. · Carpets should be vacuumed regularly to remove the everyday grit and grime that accumulates. To go above and beyond, use a carpet cleaning powder. These often help with set-in stains and eliminate odors. · If something is spilled, take care to blot the stain to absorb the excess liquid. Don’t rub it in – this will only spread the problem and push it further into the carpet’s fibers. There are many household products that will help remove a stain if blotting alone doesn’t solve the problem. These include vinegar, club soda, and even shaving cream! · Spot cleaning isn’t a long-term solution. Deep cleaning your carpets before you list your home on the market will ensure that it looks new when buyers come to tour. You have the option of purchasing your own carpet cleaner or hiring a local professional to do the job with their commercial grade equipment. 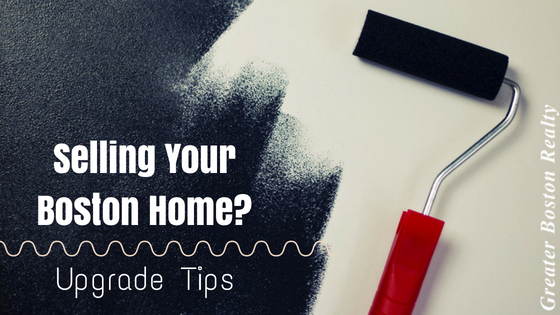 Want more advice on how to get your home ready for a showing? 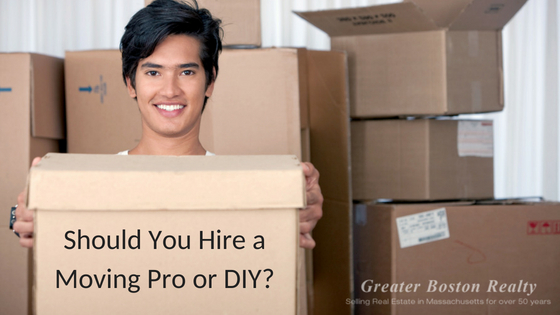 Read our blog post on being showing-ready and call our office at 617-469-4040 to learn more home staging tips. Our agents will help you sell your home for top dollar, so don’t hesitate – call Greater Boston Realty to tell us about your home! As Bob Dylan would say, “The Times They Are a-Changing” With the emergence of technology, the way that we live has changed so much over the last several decades, and the same is true with the way that we sell houses. And while it doesn’t necessarily pertain to the house itself, another way to attract millennial buyers is to hire a real estate agent that can speak their language. Marketing materials for your home should include well-staged, high resolution pictures, as well as references to the items in the above list. In addition, communication should be early and often for every buyer, especially those of younger generations who live life in the fast lane, and will often get frustrated if they feel ‘out of the loop.’ If you’re looking for a real estate agent with experience selling to buyers of all ages, call Greater Boston Realty at 617-469-4040. Am I Ready for Home Ownership? There isn’t one definitive signal that you’re ready, but if you’re in a place financially that you can handle a mortgage payment, and if the Greater Boston area is going to be your home for at least the near future, you should look into the benefits of owning your own place. Why Should I Buy Instead of Renting? The biggest reason that home ownership makes more sense than continuing to rent is that your monthly payments are put toward an investment. When you pay off your mortgage, you will own your home, instead of paying off a lease and having nothing to show for it. Buying a home, especially your first home, is very hard to do on your own. As experienced real estate agents, the staff at Greater Boston Realty are trained to help you find the right home, and will also help you navigate the process of purchasing the home. We can introduce you to other Boston professionals, like lenders, appraisers, home insurance providers, and more. Having a great real estate agent can take a lot of stress out of the first-time home buying process, so call Greater Boston Realty at 617-469-4040 today. We can help you hit the ground running in the search for your new home. Having a large mortgage payment: A mortgage payment may seem like a looming and ever-present obligation, but let’s face it – so is paying rent. The good news is that with a mortgage payment, you will eventually own your home and no longer owe! Buying a home with structural issues: It’s nerve-wracking to think that you may buy something that’s less than perfect and not even know it. But that’s why you will hire a Massachusetts home inspection professional before you sign anything. A qualified inspector will alert you to any issues with the home so that you can make an informed decision. Maintaining a home: When you rent, you can simply call someone if something breaks. When you own a home, repairs are up to you. This may seem like a big task at first, but often homeowners enjoy learning how to do simple DIY repairs. For bigger tasks, there are many reliable and knowledgeable handymen and tradesmen here in Boston that can help you. Before you buy, make sure that you get a copy of any Homeowner’s Association requirements so that you can familiarize yourself with the upkeep required in your neighborhood, if applicable. Still have concerns about whether now is the right time to buy a home in the Boston area? Call 617-469-4040 to speak to a Greater Boston Realty professional. Our real estate agents can help you understand why owning a home may be the right path for you and your family.